The Euro, code: EUR, is the official currency of Germany and the countries of the Euro zone. The Euro is the second most traded currency after the dollar. 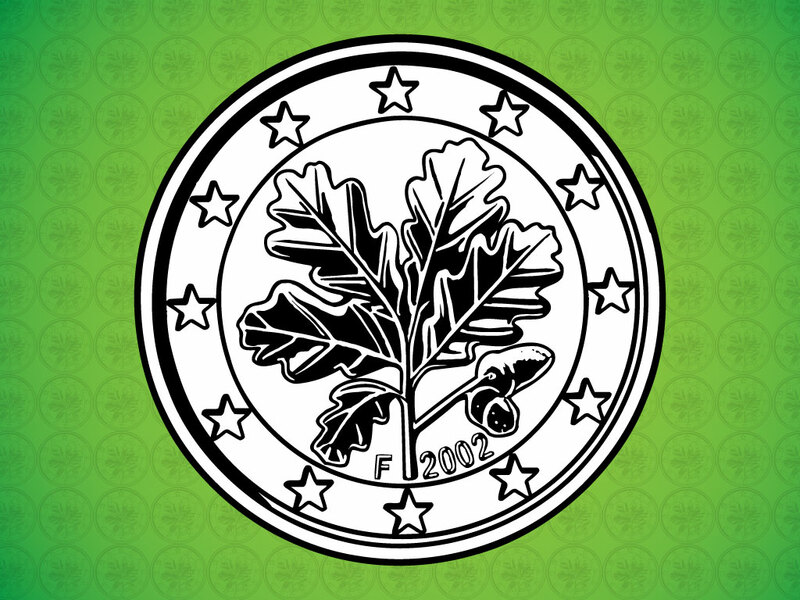 Download this detailed vector coin trace for your European and international finance designs. Tags: Coin, Currency, Eur, Euro, Europe, Germany, Money, Trade.